This is the place to post your check-ins for Wed, March 28 and/or Saturday, March 31. 129 Comments - Leave a comment! Estrella, thanks for stopping in to wish us happy writing. 🙂 See you on Saturday! Good morning all, I’m here. I will be taking breaks to feed animals. Furry and non-furry. Two and four legged. I am planning on writing new Mikey Dog adventures. I have several stories written but I will be writing new ones here today and hopefully on Saturday. 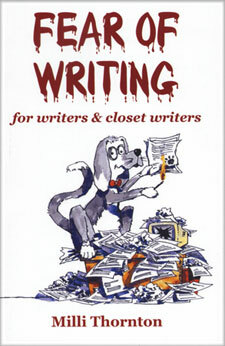 I predict we shall all feel very creative today, with the spirit of Mikey Dog romping around us as we write. Sorry I guess I forgot to R.S.V.P, but I’m here today! I’m planning on working on my memoir project and hopefully a few other short pieces for possible publication for my websites. I have meetings and other obligations late afternoon and into the evening, so I better get right ‘to it’ to see how much I can accomplish today. Good luck everyone and hope you all have a great day of writing ahead. My honey is out in the kitchen grinding beans for cappuccino. As soon as I have that mug in my hand, and smell that sprinkle of cinnamon on the foam, and taste that creative elixir, I’ll be ready to start. 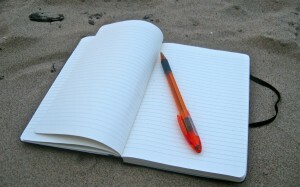 I’m going to revel in writing some fiction for my own enjoyment today. And see where it takes me. – Write this months update of The Apple Diary as the first post on my brand-spanking-new-but-still-needs-a-few-tweaks website. I’m trying to bribe myself to write today, I know how rubbish I am at actually getting stuff done, so I’ve bought a tube of chocolate mini eggs, I’m allowed 1 every 200 words. There’s also a bowl of pancake batter in the fridge so I’m allowed to attach that when I get to 2.5k, and a chocolate pudding at 5k. Methinks I shouldn’t have bothered with the swimming today but we’ll see if it works. Hope everyone has a great word-arse-kicking day. Jo, how exciting! Your own website. I took a quick peek. I love the shelves of books in the background! Makes me feel all writerly. Oh my. Chocolate eggs! Great idea. And Milli, your honey making you cappuccino! You have him trained. Love the sound of the rice concoction. Yum, I had two of my friend, Betty’s farm fresh eggs and a delicious orange. Ok, I am already procrastinating. I have answered some personal emails and commented on a couple blogs. Do those count toward my word count today? Go, Peache!! I know Mikey Dog will help you. Thanks Mill, just got to 650, and realized I think I have already written this story. Oh well, it will be good at editing time. I have noticed I am not worrying so much about typos and sentence structure this time. Just going for the words. Wasn’t planning on an update this soon but the world tried to intrude on my little writing sanctuary so I thought it might be therapeutic to vent about it here. OK, back to it. I want to reconnect with those wonderful creative feelings I was having before I was so rudely interrupted. . . .
Yowsa, Milli. I can relate to the twinge of guilt you feel when you’re interrupted and need to reinforce your boundaries again. I have to do that over here constantly if Michael is at home, because he’s impulsive as a puppy, often unaware that I’m working (even though I’ve told him beforehand lol). I’ve had a false start to the day as well with a work issue I have to clear up right now, but hopefully I’ll be free very soon to concentrate on my writing. Good morning everyone! I’m just getting started on my 10K today. I’m ready to get started! I’ll check in again in a couple of hours 🙂 Have fun everyone! 2,676 words so far and I was able to get back in touch with the creative feeling I had before the interruptions. I’ve had two breakthroughs so far this morning – both to do with how I want to feel about my writing. WONDERFUL!! Now I’m starving. Time for breakfast. Fried eggs over blueberry waffles (the toaster variety – too impatient to spend time cooking things from scratch today) with a drizzle of real maple syrup over the waffles. Yum. Can’t wait to gobble them down. So glad you found your way back Milli, and that the siren was just a test! And I’m sure Brian will get over it. Your breakfast sounds amazing, it’s making me hungry! I’ll be working on a role play story today. I’ve had a goal to write 25K in the month of March, and I’m at just over 20K, so my goal for today is to reach my March goal. But first, I need to finish my second breakfast! 😛 (Both were very light, so no worries about packing on the pounds here.) Already had my coffee, but I’m thinking of having some Guayusa and Rooibos tea. Once I’m done working on the story, I need to work on my outline for Script Frenzy. I’m so far behind on that, it’s pitiful! Wow, nicely done on the monthly total Lois! Good luck with smashing through it this week. Wow, 20k + for this month, that’s a lot! Obviously you do have a few effective methods to not letting distractions stop you from progressing with your work 🙂 Script Frenzy sounds like a fun and rewarding challenge. Hi Lois! Glad to see you here. Role play stories sound fun. Not really sure what those are, but they sound cool. Second breakfast, yippee!! I’m going to have second coffee soon. Good to see you here. Sounds like you have been very busy. Good luck today! Lois, girl I know you got it going on! You’ll be banging those keys any time now. You rock! Well that’s the first 1k and 5 eggs down, so glad I can rely on my blog posts to consistently be 1k, give or take a hundred! Unless it’s the theatre reviews, they can explode a bit sometimes. I think an hour and a bit of redrafting that story, then off to my friend Ella’s for dinner and tortoise harassment! Hope everyone is still going strong. Congrats Jo and Milli. I’ve just gotten Mikey recovered after running off as we were on our way to the airport. And now I’m in Africa on Safari while Mikey is being loved and cared for by a neighbor. A little over 1700 words. Now I have to go clean the barn, clean water buckets, get some hugs and kisses from the horses, put out more hay for their lunch. Then make lunch for hubby and me and a little break. Whew. I’d forgotten how fun this is. And rewarding. Thanks Mill. Hey, can I use total characters, no spaces? hehe If I did that I’d be at 7400!! LOL! I like the way your mind works. 7400 words already and it’s still morning in Texas. You da winnah!! Have fun getting those horsey kisses. I can smell that delicious hay from here. Yeah, I like 7400. Sure make 10K a piece of cake. Dee came over here one time and she’d never really been around horses. She loved it. She called it “getting snoodled”. Doncha just love Dee. I tell Mick and same to Brian. Thanks Carole. My neighbors think I’m crazy for kissing my horses. I have three. One is a miniature and the other one is only 20 months old. So right now I only have one ride-able. They’re all spoiled rotten and I love it. Got lunch for everyone and back at it for a little while until I have to go out for an egg run to Betty’s. Ha. Well, I managed to hunker down and have 1,717 words down so far. Going to take a little break and do my exercise workout and have a bite to eat before getting back to it. Terrific, Carole! Great comeback after being pulled away by your situation that needed attention. I like the number 1717. The way it looks. 3,472 and I’m stopping to make more coffee. Gotta admit that, although I planned to have another cappuccino as a treat for my special writing day, this break will be a stalling tactic as well. I just reread a story I started in 2005 and I’m intimidated at how to start it up again and do justice to what I’ve written so far. What I wrote was very imaginative and I’m crossing my fingers I’ll be able to reconnect to the fairy tale characters in the story. I’m hear shaking my head in admiration and awe, Milli. You’re amazing. Well done, Chief 😀 I love fairy tales; so much great insight from them! 2102 words so far. Way cool!! Just took a break and read the latest post on your blog. Ahh, the blue bonnets! I lived in the Hill Country for a few years and enjoyed seeing those as well as the orange Indian Paintbrush flower (I think they were called). Big Baby is a cutie and the trail looked great! Nice 5-mile round trip, complete with splashy puddles and glorious mud. Thanks for all the pictures! Isn’t that all one word? Piecacake? Heehee. 4,785 and I’m blissfully happy that I’ve reconnected with my fairy tale. It has taken on a life of its own and all I have to do is follow it around and type the words. Mill, how cool. Great to hear. Ok so I brought my lunch up here and ate it while I wrote. Fresh Berries and whole milk yogurt. Yummy! I’m now at 2464. Good but I got a slow start this morning. Not what I want for me today. Now I need a break. Back in a few. Then maybe it’ll be a pieceocake. Or is it pieceacake? Yay on the 2464! And the berries and yogurt for lunch sounded yum! Waytogo, Lois! You’re a total inspiration with your word count for the month. I’m pleased you got to write with us today to help meet your 25K goal for March. Thanks, Milli! (And I see “waytogo” is one word too! Haha!) I got a late start, and it was slow going, but I surpassed my goal of 25K for the month, so I’m happy! I’ll continue for another hour or so on another essay, then I have to pack it in for the day and move on to work obligations. In case I don’t get a chance to get back here this afternoon, thanks all for the lovely banter in here today. It’s so impressive what you’re all working on! It really helps not having to slog it out alone. So grateful for Milli organizing these 10k days! Hugs. Absolutely wonderful to hear, Carole! I’m thrilled you’re having a whale of a time. ENJOY in capital letters is the best result you could possibly have for a 10K Day. I love the title “James, Bronzed.” Sounds like fun! And so is having some deer in the yard right when you’re available to take some pix. Happy writing for your last hour. So glad you got to join us today. I’m on 5,930 and at a standstill for now. I’ve been enjoying myself so much, my senses feel a bit overloaded! Need a longer break this time. Reading and dabbling on the Internet hasn’t revived me yet. I might not come back till after dinner. Protein always revives me. I’m back. Errands took longer than expected. Made a big coffee and hit the keys. I am now at 3347 so far. But my character count with no spaces is 13944! 😉 Ha, I like that number. Way to go everyone. I too need to go feed the animals dinner and start dinner for my husband. Not nearly as healthy as you Lois. Bratwurst, homemade coleslaw and potato salad. But yummy. I have written the body of 3 more chapters for Mikey Dog. And I have the makings of a new one. I will try to come back tonight to add to the count but I’m pooped now so not sure but I’ll be back on Saturday to continue my work. 13,944!! Yeah, let’s have the Character Count Day instead of the 10K Day. Makes it way more like having writing superpowers. Heehee. If you do come back after dinner, I’ll be here. Going for a walk with Brian first and then I’ll be back at it. I’m hoping Valeka will be writing with us this evening as well. I’m getting tired but still want to keep writing for a while. Nice to know you’re over there writing with me. 7,234 and I’m feeling a little less tired. Need to get up and stretch and drink some water and then I’ll be diving back in. I’m still going and have reached 4325. A nice cup of tea might help to give me a little pep! I’m still here as well. A cup of tea sounds divine! Maybe I’ll get one too. Your 4325 words is awesome!! Well, at 5722, I am calling it a night! I wish I had reached the 10K mark but I’m happy with what I did. I can’t wait for the next 10K! Thanks so much for organizing this, Milli!!! Valeka, the cup of tea was a great idea and it carried me through nicely to my stopping point. I reached 8,745. I know I could have plowed through to reach 10,000, but I didn’t want to. I’d rather use that time before bed to read over some of the amazing stuff I wrote today. When I wasn’t working on my fairy tale, I was writing stream-of-consciousness stuff that provided some deep guidance on my inner workings, and even some helpful tips on how to be more in touch with my true self. Yay! Wow, late start? I’m just getting my first cup of coffee and finishing my morning email list, then I’ll start. Way to go Mill last Wed!! 8:49 a.m. and I’m still waking up. Got my coffee guy about to bring me a fabulous cappuccino and then I’ll get started. My blood pressure seems (too) low today so I had a latte and added some caramel ice cream topping. Dang girl! I want a coffee guy! I’m the coffee guy around here. Happy 10K Day everyone! I have to get our taxes done today, but maybe I can join in later. Yay, Taryn!!! Good to see ya. Your tax fairy is indeed very efficient and enthusiastic. A thousand thanks for sending her. I’m finished, and without my traditional anxiety attack. I need to find some food, but then I’ll be ready to write! 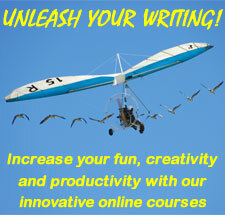 I’m so excited that now you’re free to write with us! Oh darn… that reminds me of my own taxes. Why was I sure I’d already finished? Ha, Mill, bad girl. I just heard my slave up. Ha ha. I have to go make breakfast, re-tank on coffee and I’ll be back. I am working on Mikey dog but I only have 546 WC at this point. I plan on writing a few more ideas and stories and then I need to work on my horse stories. They are already putting some stories together and asking for some for their ebooks. So back in a flash. 1,227 words of fun journaling (dreaming and scheming for a creative project) and now I’m starving. I think I can hear my breakfast slave in the kitchen getting things started. Heehee. I’ll have a three week forced stay-at-home period starting next Friday however, so I fully intend to make it productive and write every singe day and finish all the drafts. Hope everyone else has a very productive 10k Day today! 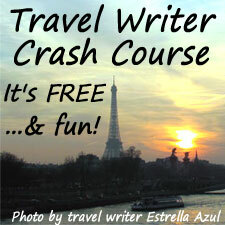 Estrella, the forced stay-at-home sounds great for your writing. Wish it could have fallen during a 10K week (April’s dates will be 25 and 28) so you could write with us . 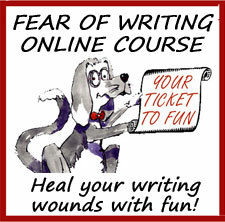 . . but, meanwhile, all that daily writing sounds like just the ticket. That’s awesome, it does fall during a 10k week as I’m off until May 2nd. I’m so happy to be able to attend both on Wednesday and Saturday next month! I’m back. I had two Hill Farm fresh eggs and this is going to sound so weird and maybe yucky but I read recently that if you eat a little sauerkraut and plan yogurt before your breakfast it will help the flora in your gut for the rest of the day. So I tried it. Really tasted better than I thought. Not like a caramel cappuccino by any means, but not as bad as I thought. Then I got distracted outside. It’s such a pretty day. I wish I had a laptop. I pulled a few weeds and now back at it. After I served my master!! I told Master about Brian slave man. And I thought that was way better. Got a laugh. We had a brunch of scrambled eggs, sausage, fried potatoes and biscuits with jam. We always make brunch together on the weekend and we’ve got it down to clockwork. So, only partial slave boy for that one, heehee. The weather here is gloomy, which doesn’t make for a great view from window, but it doesn’t tempt me to go outside either. Wow, big breakfast! That ought to inspire you. I’m at 2690 now, whew. I feel like I’ve been writing for hours. Way to go on the 2690 words, Peache! You must have really burned rubber after breakfast. What’s in *your* coffee? Hehe. Or did Mikey Dog get into the catnip? I’m on 2587 and have come to a stopping place with the brainstorming I was doing. Going to write some feedback for a FoW student, and then switch over to my fiction. I’ve had some Japanese fried rice and spicy egg, and am opening my word processing program now. Yum! Almost makes me hungry again. I’m on 2929 and feeling the need for another break. I’m going to make second coffee and then come back and start on my fiction. Love fried rice!! I’m now at a total of 4119. I am taking a break to go out and enjoy some sun, have some lunch and check on the horses. Probably a couple hours then back with energized afternoon cup of Joe. Mikey did run and race and then the horse story started coming together. I had no idea what I was going to write but when I started thinking about my very first encounters with horses it bloomed!! More after a break. Hang in there ladies!! Wowza, Peache!! 4119 already. You rock! 4574 words and I’ve been enjoying working on my story. Time for a little break. Brian went man shopping (Harbor Freight Tools) and he’ll want to show me what he bought. Still on 4574. I gave myself a longer break this time. Took a warm shower, where I got two ideas for new online courses: both involving magical creative topics. Had a cup of tea and a biscotti, opened some mail, did some reading. Now I’m ready to enjoy the next adventure in my fairy tale. Anybody else still out there? 5958 now and I’ve added about 8.5 pages to my story in the big-sized font I like to write in for fun stuff. Going to switch back to some stream-of-consciousness writing for a while, since that’s been giving me lots of wisdom and good ideas the past few days. I’m here. Just now. Just wrote a paragraph, didn’t bother to count yet. Wow, Milli, 5958. Awesome. I’m back for a short. I spent too much time with the horses and then showered also. Cool about the fantasy writing. Oops, you said magical. Sounds interesting. I’ll work for about another hour. Yippee! Glad you came back. I wonder where Taryn got to…….? I am now at 5650! hehe. I’ll hang in a few more minutes and then I think I’m bagging it for today. Back in jiff. I’m on 7406 and feeling relaxed, really enjoying myself. I’m gonna keep going for now. The horses are out my window beckoning me to come feed them. My husband will be wanting dinner soon after. I made it to 6180 for the day. My horse story flowed like a stream. I just started writing about my life and how it has been a journey with horses and it’s bubbling out. If I count what I wrote on Wednesday, 3347, I’m at a total of 9527 for the day. Think I’ll come back and write just enough to give me 10K for the week. 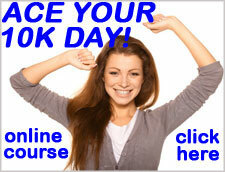 I will be talking to you in the next couple days as I will be signing up for your “Ace your 10K day online course”!! Back in a few for one more spurt of creative juices. Oops, I meant to day I would have a combined total work count of 9527 for the week. I ended up having to cover someone else’s shift at the pub today so bye-bye writing day. But now I’m fed and vegged so I’m going to pootle through a final edit of my FGC submission to be sent off in the morning. Really nice to see other people having such a productive time this week, I’m seriously starting to consider hypnotherapy to help me get into the zone quicker instead of getting distracted all the time. Good luck for the rest of the day anyone that’s left. Yay, Jo! So glad to see you! Your right Milli, it is late, but when I wrote the first draft of this story on Monday it had me up til gone 4am, it wouldn’t let me sleep. The dark hours seem to be my most productive time. The submission form opened up 11 minutes ago and now I’m getting twitchy to submit so better get on with the edit. Jo, that’s nifty about the Form and Genre Challenge. I checked out the specs for The Historical Challenge and it sounds fun. Best o’ luck in the contest! If I read the instructions right, you’ll be posting it on your blog as well? If yes, tweet me when it’s up so I’ll know to come read it. Sounds wondrous to have a story keep you up till 4 a.m. I’m glad you had the opportunity to write it during your most productive hours. I know I love it when my writing syncs with my body clock. And, now, I must be excused so I can devour this organic dark chocolate peanut butter cup that keeps staring at me and murmuring Eat Me. It’s 3am and it’s done! It’s submitted! It’s out of my hands! I knew I wouldn’t be able to sleep if I waited til morning! 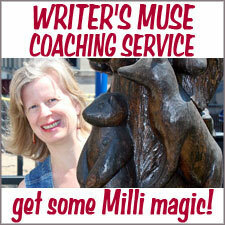 Blimey Milli, nicely done on that word count! A fine and productive week it would seem. And now I must urgently to bed, back to work soon but thank god it’s a short shift. Hope to use the remaining time to get another short story finished. Much love everyone. Merchant out! Good luck getting a little sleep before you have to go back to work. So glad you could join us tonight! Hi JM, welcome, let it flow like a stream. I’m back like a bad penny. My man slave actually fed the dogs and cat! He knew I was madly writing, oops, I mean Wriding. Love it Mill, Wride that pony. Yeehaaa! Saturday night right. I fed the horses and my other chores were done by my man slave. Ha, I’m liking that phrase a lot. So I made myself a little martini with three cocktail onions. I have about 470 or so to reach 10K for the week. It’s been so long since I’ve wriden, so this feels really good. Maybe that’s the martini. Back in a few. Gosh, 4am, I’m just starting to wake up. I’ve gotten to 7145 for the day! Yay, so that gives me a total for this week 10492! I’m pleased with myself and Milli I sure do appreciate your friendship and encouragement. I am signing off now, will check in the morning how you guys did. Looking forward reading about your successes in the morning. Sending you creative thoughts. Wrider signing off. For now. I’m not as tired as I thought I’d be. I could actually keep going, if need be, but I wanted to finish in a spot that would give me a good storyline cue for next time. The more I do the 10K Days, the more my stamina for it improves. Very cool benefit of the practice.